Buy More Wired Polka Dot Sheer Ribbon Save More! Wired Printed Polka Dots Ribbon is a wide sheer shimmery organza ribbon with a heavy gauged wired edge to make a great bow shape. 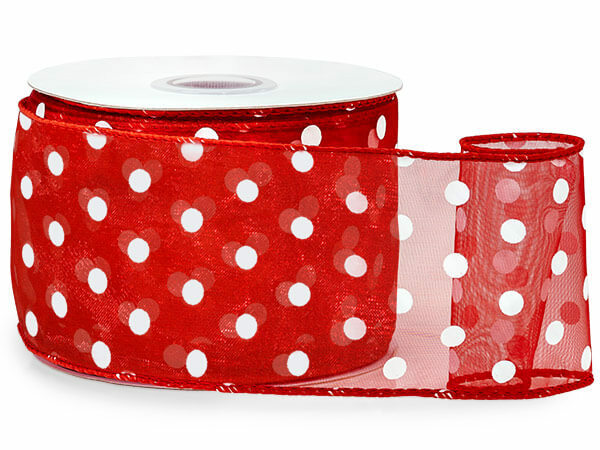 This 100% Nylon ribbon has white printed dots and is available in many popular vibrant colors. Great shimmer & great value!